Please call owner Eddie at 770-518-9865 or 770-355-9548. Boat Location: Scottsboro, Alabama on the Tennessee River. 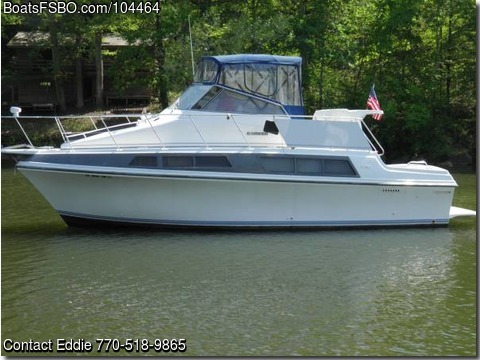 1995 CARVER MARINER, Twin 350 Crusaders, 6.5 KW generator, A former Great Lakes boat, Only 441 hours on engines, Has new equipment: New heat and air unit with warranty, batteries, self defrosting refrigerator, 32"LED TV, drapes, all outside cushions recovered, engines have new belts and fluids, Full bridge enclosure. Selling because of health issues.